nice to hear! i just sent you an PM. so any news here? Would really love to get my hands on the final german version. i dont know exactly when it happend as i tuned out for a moment. It must have been around the skull part. Unfortunately i couldn't repeat the error. Ran the demo afterwards again in 50hz and 60hz but this times it ran without any flaws. Is it possible to give your translation a try? I have a Repro based on the VC Rom and like to test it on my retron 5. Topic: Cycle accurate Mega Drive emulation: Exodus coming in April! Also, that looks like an ulocked phenom X2? it's an unlocked Phenom II X3 720BE. and the vcore is because of undervolting. i also can't get near fullspeed on my machine. so i guess you really need a top-notch cpu. yup! except they're right in mid-screen in samurai showdown too. that's what wondered me. 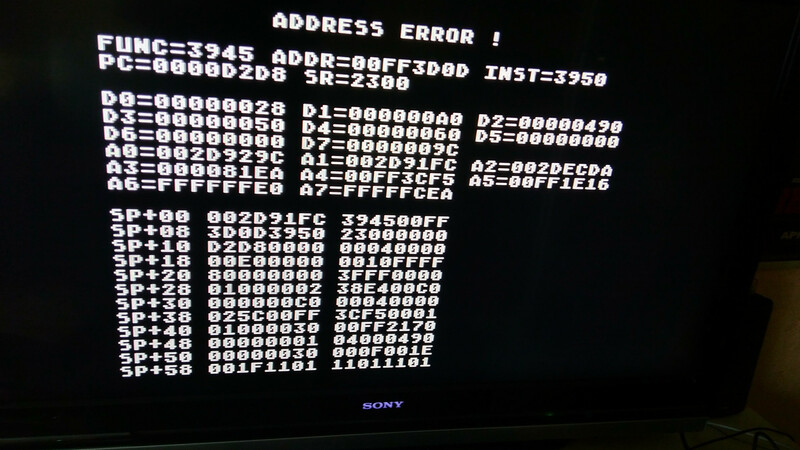 Now it's proven that my cartridge and megadrive are fine...thanks for this! Topic: Samurai Shodown (PAL) pixel garbage? Samurai Shodown (PAL) pixel garbage? yeah this stuttering really is a pain in the a** because it ruins the smooth scrolling.